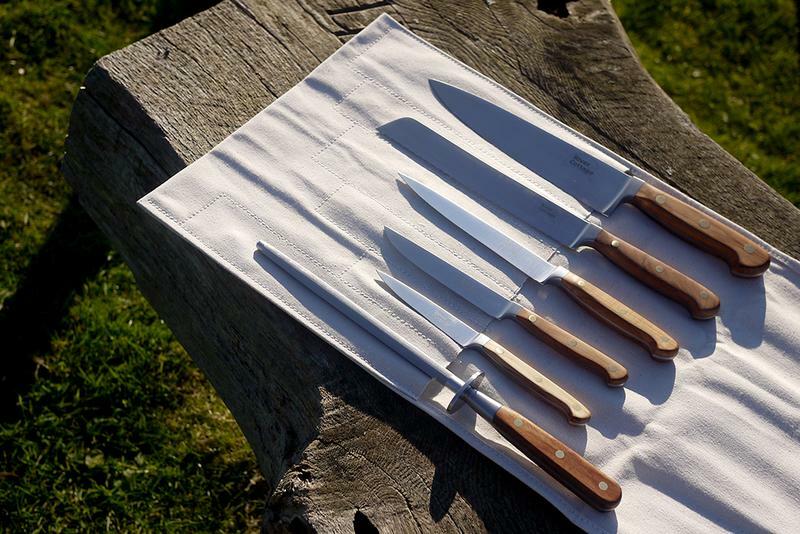 This set of knives features beautiful wooden handles, which combine performance and beauty. An elegant range, these knives are designed to meet the demands of the professional chef and enthusiastic amateur, in which handling, balance and durability are paramount. 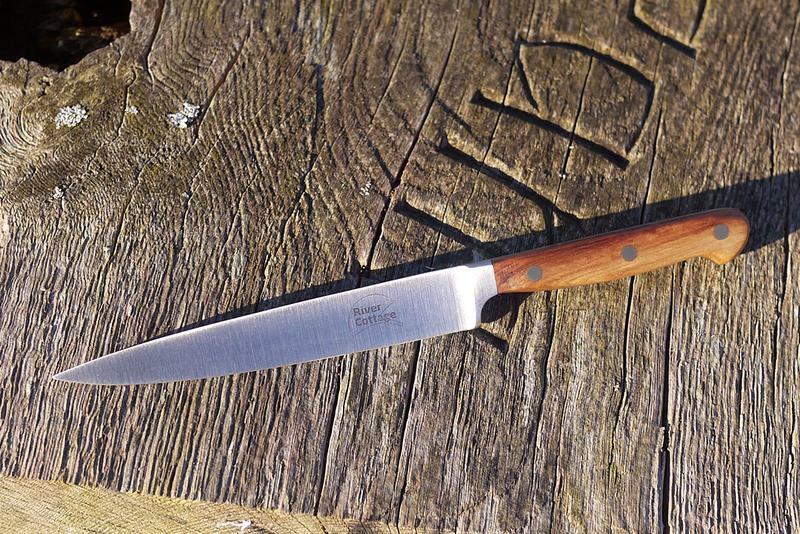 The handles are made from British fallen hardwoods such as conker. 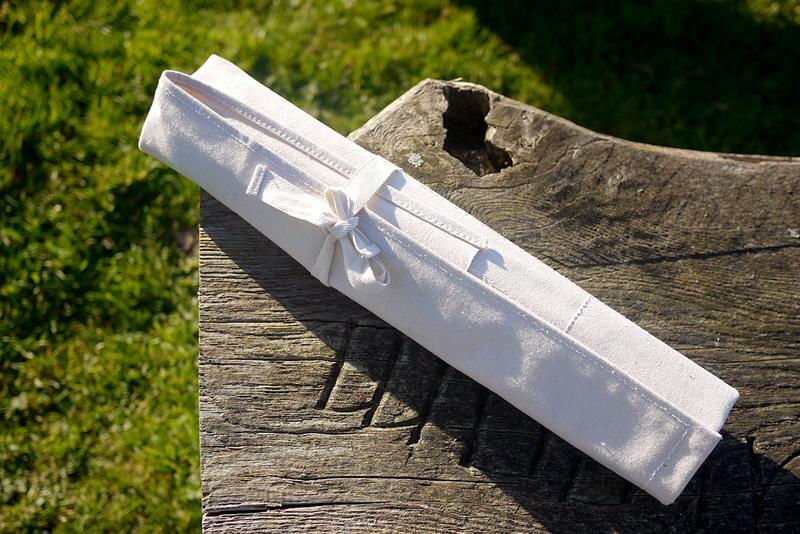 Each knife is made from the finest quality steel, high in carbon which increases hardness, sharpness and strength. 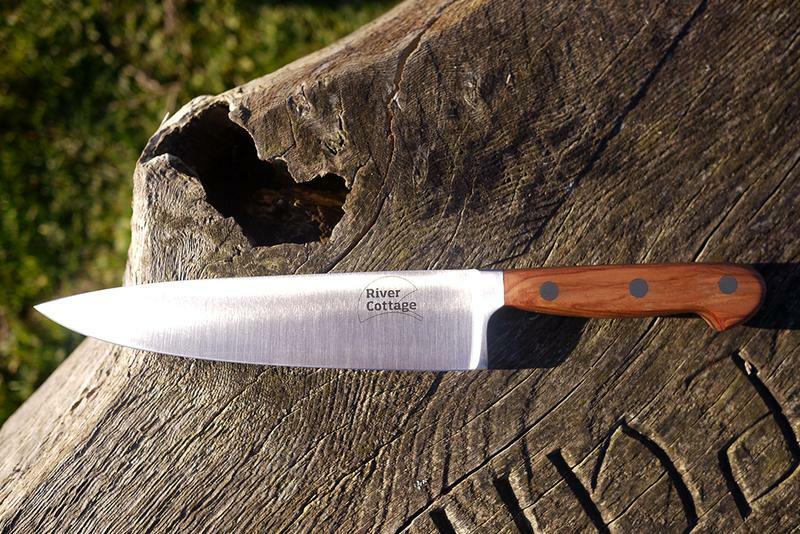 Each knife is engraved with River Cottage branding. These knives are designed and manufactured in the ‘Steel City’, Sheffield, a city that has universal reputation for producing high quality goods. These knives are guaranteed to last a lifetime. Every set is unique, colours will vary. For orders outside of the UK, please contact us.